Super Bowl Study — truly. 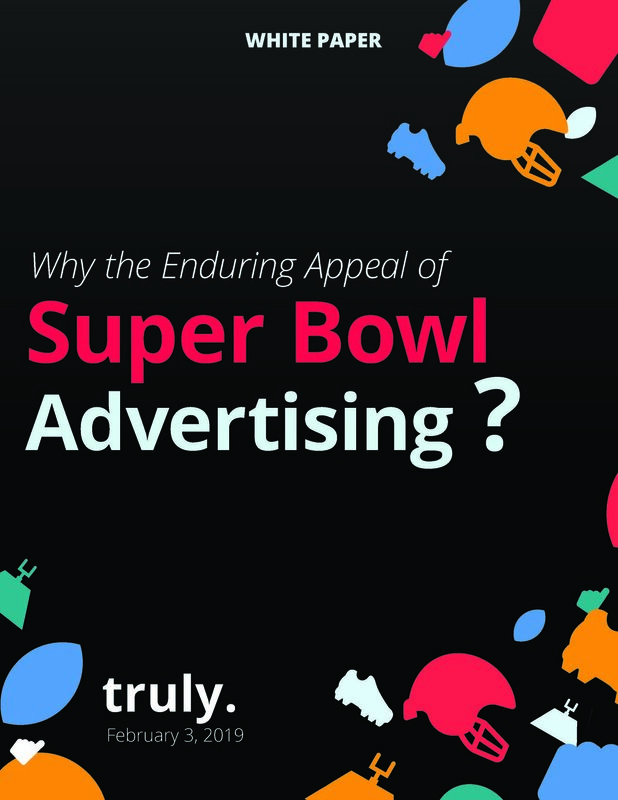 White Paper: Why the Enduring Appeal of Super Bowl Advertising? Super Bowl ad campaigns have created both "buzz" and a little "word of mouth" for advertising brands in the past few years, however, the changes in actual purchase consideration by the consumers were largely negligible. So, then, why are they still such a big deal?